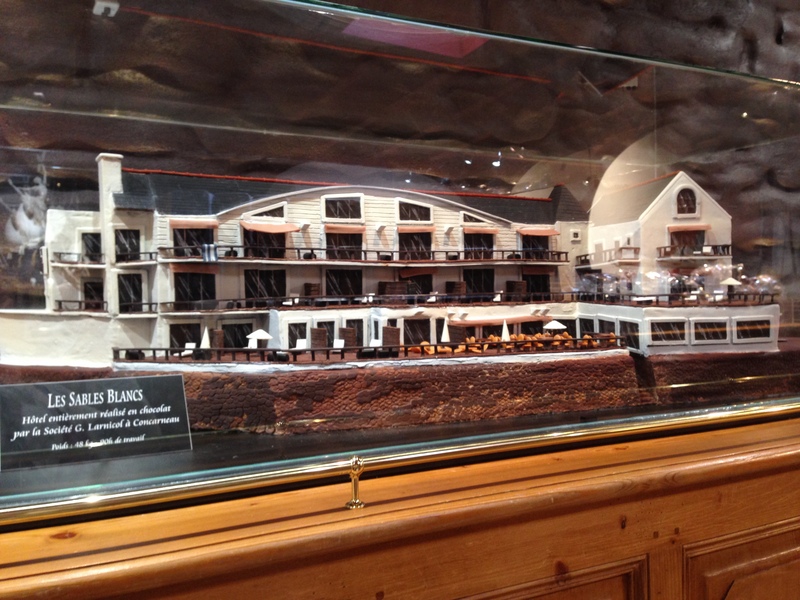 Easter is always such a fun time of year but here at Smithbrook Tuition we have been inspired by the incredible chocolate sculpture of a hotel in France, to hunt down some more imaginative Easter treats you can find locally! If you are looking for chocolate to tantalise your taste buds Cranleigh can offer you some more unusual ideas. 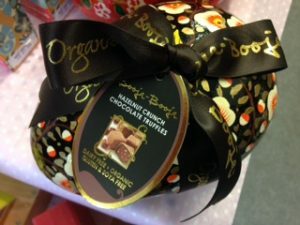 Pop into The Natural Life Shop on the High Street where you will find a stunning selection of hand-painted Booja Booja Easter eggs that conceal organic sweet roasted Italian hazelnut truffles that melt in your mouth. These eggs also won the Good Housekeeping seal of approval. 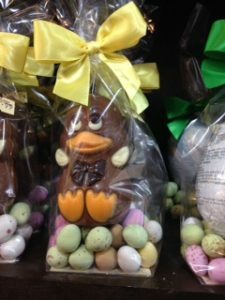 Mosey on down to Mr Simms Olde Sweet Shoppe where you will find a wide variety of Easter treats. This egg caught our eye. Cute or what? Not too far away Marks and Spencer stock an imaginative selection of Easter gifts. 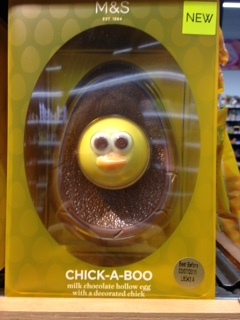 Chick-A-Boo made our mouths water. Looking a little further away in Church Street, Godalming is Godalming Delight, a small independent shop. 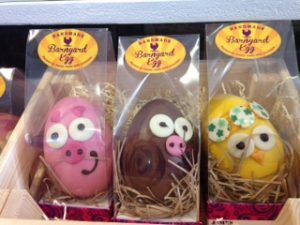 Nestling in their Easter display we found these cheeky Chocolate Eggs. 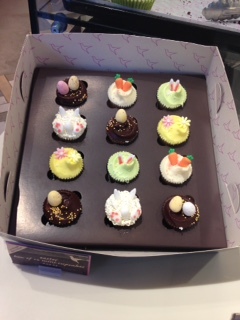 For something a little different, try these delicious Easter mini cupcakes from The Humming Bird Bakery, Guildford. We tried their biscotti cupcake with a caramel centre and were blown away by the mouthwatering flavours. Let us know your favourite Easter moments and follow us on Instagram this Easter to see what Easter treats and celebrations we get up to!